Music is vital for the development of strong mental abilities in children. It gives them the opportunity to reduce stress in their lives and rejuvenates them for other activities such as studying. School music programs are very important for children because they give children a formal setting to organize music, establish music as a skill that can be learned and brings together children into a bands and orchestras that give great performances. Unfortunately, schools everywhere are finding it increasingly difficult to allocate resources to music programs. This is a dreadful situation because the cost of the music programs is often not excessive. When measured against the gains, music programs are a total bargain for schools. The students live better, less stressed lives. Music students can get a better understanding of math. Student performances enrich the culture of the whole school. Many school music program perform for the community which spreads great music to a wide public audience. School music programs are often credited with establishing the drive for professional artists. They cite musical instruction that they received when young as the main motivational factor that started their careers. School music teachers often are very inspirational for these now professional artists. The teachers recognize talent early. They point all students to learning materials that develop abilities. They suggest further study avenues to those that they recognize as potential professionals. Many of today's stars credit school music teachers as the main reason for their success in the entertainment business. Parents should do what they can to support music programs at school. Enrolling your children is a good way to start. Your child can develop musical skill in the program. Even if your child doesn't go on to become a professional, they will receive musical education that will help with the stress in their lives, provide them with a pier group of others with similar experiences and give them an opportunity to do more with their free time than just watch television. Music is important to children in so many ways. Parents can also help school music programs by attending school performances when possible. Tell all of your family members and friends about the events. Many times the performances are free or require a small donation of funds. None of this money is wasted. A few well appreciated dollars will give you a significant experience. You may see a budding talent who will someday be a star. You may see a school group perform music of amazing quality. You may see a group of very inexperienced musicians who struggle with a simple piece. When you return to see this group's next offering, you won't believe the improvement in their musical ability. Schools need help from parents, students and the public to ensure that they continue to provide worthwhile music programs. Some schools need help in order to implement such programs. Every student at every school should get the opportunity to learn music in an organized program. This is a great instrument for a young student. It is the best selling unit on Amazon. Good value for the money. Many schools that still offer music may give students the opportunity to try larger, more expensive instruments. In many cases, a family might not be able to afford a large tuba, kettle drum, or other top valued items. The school may have these for young musicians to use for free. Schools may also allow young musicians to extend their range. 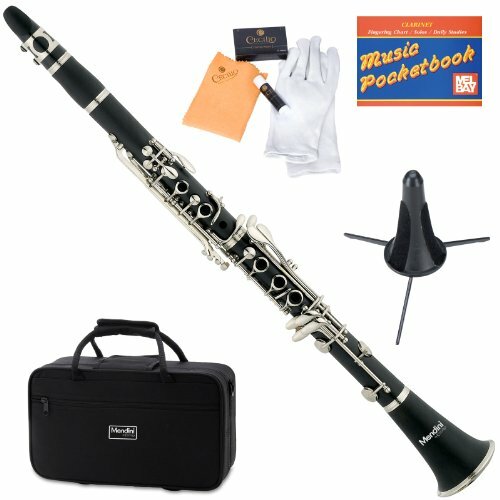 Perhaps a flute player can try the clarinet, or piccolo without having to buy one first. Similarly, a clarinet player might get the opportunity to try the oboe. At the very least, program instructors are usually versed in several different instruments. They can often give great lessons to many different players. They can recommend appropriate musical avenues for children. They can connect budding talent to further resources as needed. Tomorrow's stars must get a start somewhere. Those educational agencies that do recognize the importance of developing talent are very valuable to society. They should be encouraged to continue their excellent work with talented students. Music has been shown to have many powerful qualities for youngsters. It can help them to understand math. It can soothe them. It can provide an avenue for their talent. It can help to develop creativity. These programs can improve self confidence. In some cases, the youngster can then continue their studies at musical talent schools. They can continue to build their ability on their own. In rare cases, they will become stars. At the very least, they will have an appreciation. It is only with the support of passionate parents, and other family members, that educational institutions will realize the importance of teaching fine arts. Budgets have been deeply cut over the years. Specialized programs are often cut. As we have seen on popular television shows such as "Glee", the continuation of musical education programs is always at risk. Please do what you can to support your local musician training programs. Try to encourage your children to enroll. Attend the concerts and recitals that are scheduled. The level of local talent is often amazing. If you attend several of these over time, you should notice a distinct improvement in quality. You may even be surprised to notice certain talented individuals who rise to prominence over time. Be sure, also, to watch for fund raising efforts for the programs. They may sell items to help pay for themselves. They could have bake sales, or collect items. Donating unneeded gear to a fund raising drive may be a way that you can show important support that doesn't cost you anything. By helping the musicians in these ways, you help to prove to them that music is important. They will be encouraged to continue, and to improve. 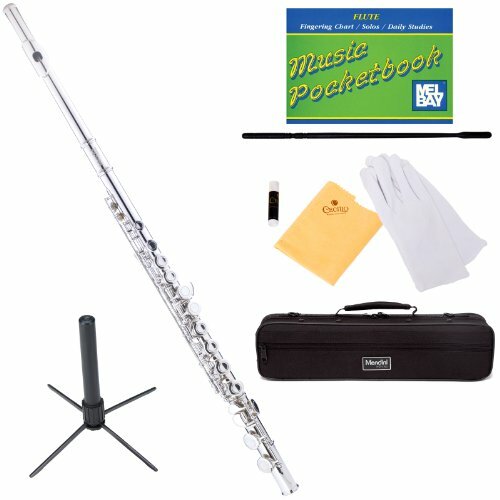 Top selling flute for young people. Comes with an impressive array of extra equipment. Now available for a great price. I agree that music should stay in the schools, and also art, gym and recess. A lot of these programs are being eliminated in order to prepare kids for standardized testing. Teachers have to teach to the tests under pressure. There's not a lot of time left for extra things. I predict kids will lose their enthusiasm for learning.